Staten Island is the ONLY borough that doesn’t have a subway to Manhattan. The ferry is a nice ride, but it only makes one stop in St. George, and you have to take a bus or a train to get to another neighborhood. If you’re going to the South Shore of the Island, that could take up to another hour after you get off the boat. Want to drive to Staten Island? You better bring $16 cash for the Verrazano Bridge toll ($11.08 if you have an E-ZPass). If it makes you feel any better, it’s only a one-way toll. S.I. has a zoo, some museums, a botanical garden, and a few other cool places to visit, but (going back to the transportation issue), they're hard to get to without a car, and not nearly as impressive as their counterparts in other boroughs. As of July 2015, Staten Island was 76.6% white according to the U.S. Census Bureau. In addition to the serious implications of having such a white-dominant demographic, there’s also a serious lack of diversity in the borough's food scene. Pizzerias and Italian restaurants reign supreme on Staten Island, and most have been around for decades (meaning you won’t find the latest food trends or cutting-edge culinary creations here). The Italian places on S.I. are mostly old-school, red-sauce joints that got their recipes from grandma. While they make excellent food, none of them seem to have that Di Fara quality that will get people to make a pilgrimage. It turns out, #Stexit was the OG #Brexit. In 1993, Staten Island took a vote and 65% of the population opted to leave the city of New York. Long story short: they were feeling underrepresented by then-Mayor Dinkins. Things got better for them under Giuliani and the talk of leaving faded away. But now that the UK did it, talks of secession are surfacing again as a possibility, especially since the more conservative parts of the borough are once again feeling ignored by Mayor de Blasio. If you’ve dreamed of roommate-free living for the price you pay to live with roommates, you can have it on Staten Island. Finding a (true) 1-bedroom apartment for $1,200 to have all to yourself is entirely possible. You might even get some yard space with that. 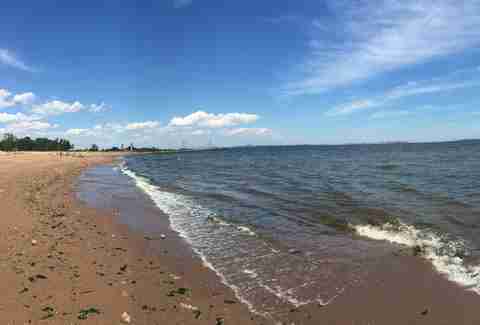 Staten Island is the Borough of Parks. More than one-third of its landmass is protected parkland, so there are plenty of hiking trails, scenic bike paths, wild deer, miles of beach, and just plain peace and quiet to be found. There are still less than 500,000 Staten Islanders, while other boroughs have well over a million residents. Restaurant reservations are easy to come by. You don’t have to register your kids for pre-school before they’re even conceived. Parking your car is less stressful (bonus: there’s no alternate-side parking on S.I.). Community events and street fairs bring a good crowd, but are rarely so packed that it will ruin your good time. People might not be lining up around the block for food on Staten Island like they do for Cronuts or impossible-to-eat milkshakes in Manhattan, but that doesn’t mean the food isn’t good. It’s actually great. From the pizza at Giove, to the tapas at Beso, to the potato pancakes at Killmeyer’s -- many of SI’s best dishes are more than worth the trek, but will still never get their due recognition. The quality of grocery stores is also worth mentioning. There is no Whole Foods, but the Island doesn’t need one. There’s plenty of huge, beautiful, clean supermarkets with full bakeries, butcher counters, and growing organic selections. If you’re a Whole Foods shopper, you’ll cry tears of joy at the prices in a Staten Island Stop & Shop. Ground has been broken on the New York Wheel and it’s a big f***ing deal. 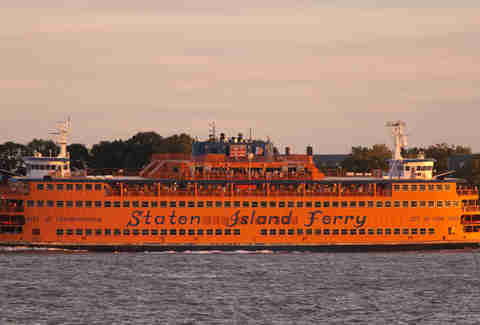 It’s estimated to bring more than 3 million visitors to Staten Island every year. 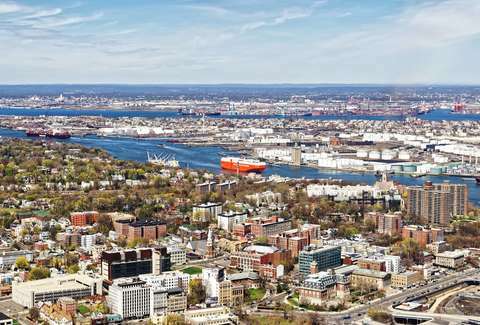 This is the borough’s latest hope of getting visitors to finally leave the Ferry terminal and actually spend time (and hopefully, money, too) in the community. While that project is getting the most buzz, private investors are spending close to $1 billion on other developments near the Wheel -- housing, retail, and cultural. Is this what the North Shore of the Island needs to finally become the next Hoboken or Williamsburg? It might be hard to imagine now, but every neighborhood in the city that’s had its renaissance was once ignored, too. Mara Montalbano is a contributor to Thrillist and would love to give you recommendations on where to go if you decide to leave the Staten Island Ferry terminal. Follow her on Twitter and Instagram at @maramontalbano.